What did Delaware? Her New Jersey! 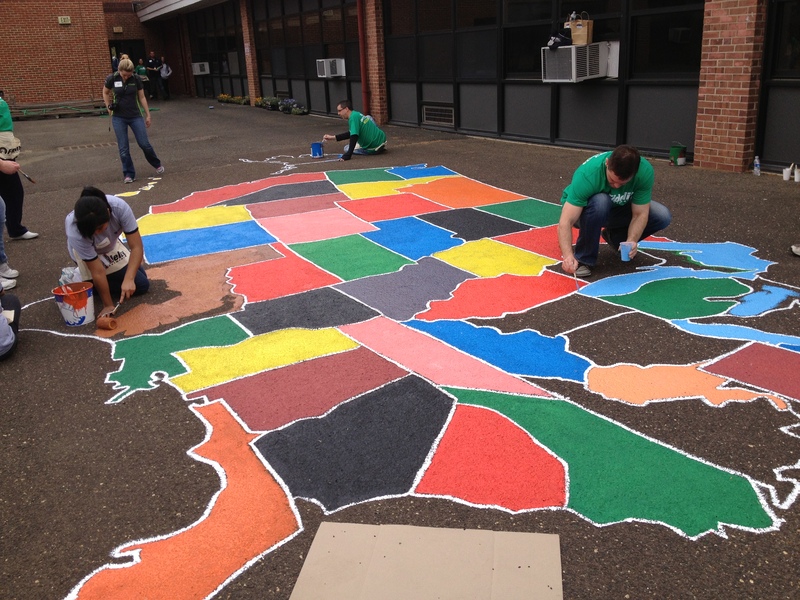 These Fidelity Volunteers did a stately job on this US Map at a school in Union Beach, NJ.